There are cycles to everything. 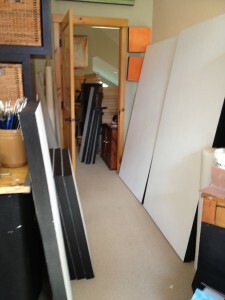 In my studio, the cycle of production of works of art follows a pretty set pattern. 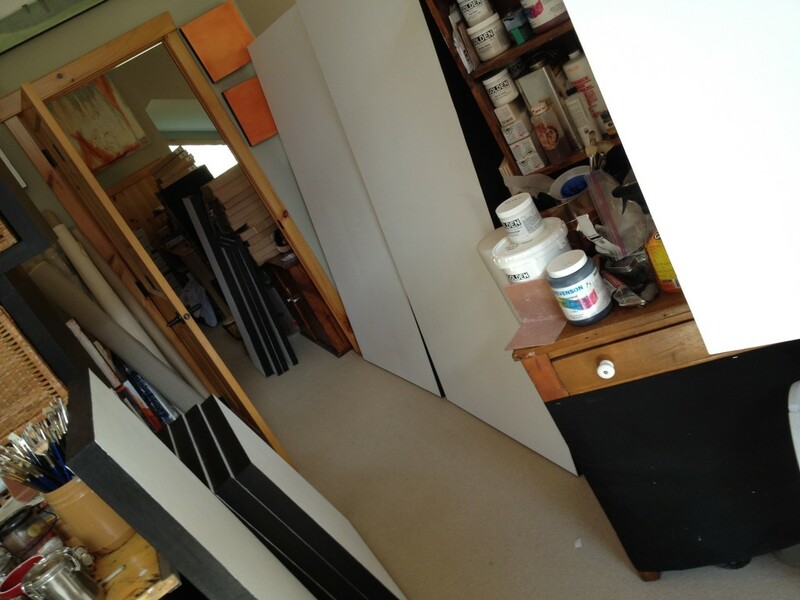 We build and make all of our substrates – from the small plein air panels with linen to large scale works. My wonderful husband/carpenter designed a perfect frame that allows for a quality finished piece that will stand up to the stretch that a good piece of linen will give. I’m very lucky. Blank linens, stretched and ready to go. All of those works require four major steps – sizing, and three layers of gesso, all individually sanded and prepared to give a smooth finish that can’t be done in a factory. It takes a long time, but is best done in “batches” of a few at a time in order to maintain an efficient workflow in the studio and the workshop. It’s messy and tedious, repetitive work – so if we are cleaning up for one, I might as well be cleaning up for 10! This means that for a couple of weeks at a time, I’m not painting – just getting my substrates all ready to go so that I can paint. But I am thinking about painting! I’m ITCHING to be painting. It’s actually a great thoughtful and reflective process that allows me to slow down a bit and thinking through some of the concepts for later execution. 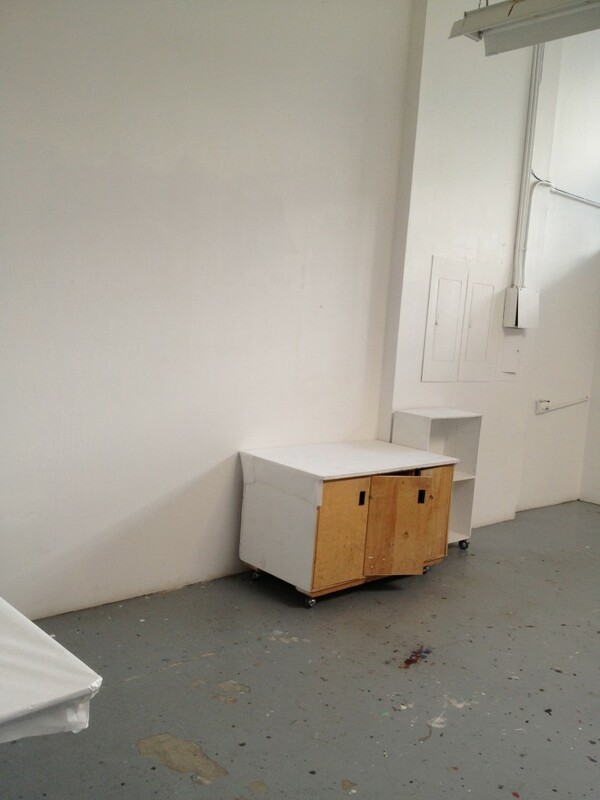 I look at those spaces, that blank canvas and imagine what will go on them. Sometimes I have an idea ahead of time and prepare the custom stretcher just for the piece. Sometimes I work up a few certain sizes that are working for me, relative to subject matter and medium. We try to keep those in stock. I also make up a few oddballs so that I can have things ready when the creative spirit hits me. There’s nothing worse than having to wait for a linen to be made. I can take up to a week to prep one of those, if it has to be done on it’s own. I’m prepping for my current residency at The Banff Centre to create the works for Haida Gwaii, a few more pieces for my CAMP exhibition in January, and now for a following residency in the Leighton Artist’s Colony at The Banff Centre in January 2013. That’s a lot of painting – the more that I can think ahead for what I’ll need, the more efficient I am in getting everything prepared, the ideas articulated and the works created. Workflow is what it’s all about. An artist needs to be prepared for just about anything. When the creative spirit strikes, don’t be caught with your canvas down!